Nowadays, there are are so many types of bicycles. There are mountain bikes, tandem bicycles, road bicycles, cyclo-cross bicycle, touring bicycles, hybrid bicycle, fixed-gear bicycles, cruiser bicycles, and the list goes on and on. And all these bicycle types have one thing in common… they are all expensive! Fortunately, there are several online stores that sell bicycles that also allow you to buy bicycles now and pay later with deferred billing options so you can make payments on a new bike! Fingerhut carries Outdoor Spirit and Razor Dirt bicycles sets plus thousands of other trusted name brand products with no down payment and low monthly payments. Apply today, buy today while building your credit history. If you already have a Fingerhut Credit Account, click here to shop! Priority Bicycles offers low maintenance, rust free belt drive bicycles at unmatched quality and prices. They also have a 30-day no questions asked return policy and accept Bread for payment. Pure Cycles sells race bikes, road bikes, rad bikes and more and accepts Affirm for payment. Brooklyn Bicycle Co. has city bikes, commuter bikes and single speed bikes for sale and also accepts Affirm. 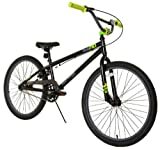 FlexShopper carries name brand bicycles, including Schwinn and Tony Hawk, that are available to rent to own in 12 months of less for as little as $4 per week. Qualify today for up to $2,500 instant spending limit with no money down and no hidden fees. Bad credit is okay. Shop FlexShopper.com now! Merlin Cycles offers three different monthly finance plans from Barclays Partner Finance on orders over £250 for UK customers (They accept PayPal Credit for US customers). Gettington lets you choose to pay back in 4 payments or up to 24 monthly payments on thousands of products including Kawasaki, Huffy men’s, women’s, boy’s and girl’s bicycles and more. The application takes under a minute. If you already have a Gettington Credit Account, click here to shop! 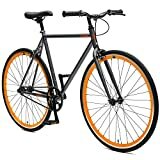 Amazon offers a free $50 gift card for applying and getting approved for their Amazon Rewards Visa Card that you can instantly apply towards a new bicycle plus earn 3% back on your Amazon purchase. Shop Amazon.com now! Can’t find the bicycle that you’re looking for? Check Into Cash offers loans up to $1000 deposited directly into your bank account to spend anywhere you want. Apply for free in minutes! The following online stores all sell bicycles AND accept PayPal, so you can choose PayPal Credit (formerly Bill me Later) at checkout to make monthly payments. Make no payments and pay no interest if paid in full in 6 or 9 months. Some online stores that sell bicyles accept other forms of financing such as Affirm, FuturePay, Klarna and Blispay. More buy now pay later stores. What kind of bike do you own or want to buy? Next Article Buying Versus Building a New Home: Which is Better for You?